Ray Allen is professor of music at Brooklyn College and the CUNY Graduate Center. In addition he directs the American Studies Program and serves as a senior associate at the H. Wiley Hitchcock Institute for Studies in American Music. He teaches courses on American folk and popular music with an emphasis on the music cultures of New York City. 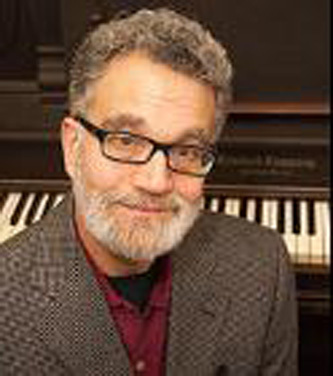 Allen's research focuses on a variety of American folk and popular music, ranging from African American gospel and Caribbean Carnival music to works of composers Ruth Crawford Seeger and George Gershwin, with a special interest in New York City music cultures. He is the author of books and articles on American, African American and Afro-Caribbean vernacular music styles, including Singing in the Spirit: African-American Sacred Quartets in New York City (University of Pennsylvania Press, 1991), and is co-editor of Island Sounds in the Global City: Caribbean Popular Music and Identity in New York (University of Illinois Press, 1998) and most recently Ruth Crawford Seeger's Worlds: Innovation and Tradition in Twentieth Century American Music(University of Rochester Press, 2007). He is currently completing a manuscript on the New Lost City Ramblers and the urban folk music revival of the 1950s and 1960s. Trained in folklore, ethnomusicology, and American Studies, Allen received a bachelor of science degree from Bucknell University and a doctorate from the University of Pennsylvania. "Performing Dio's Legacy: Mike Seeger and the Urban Folk Revival." Ruth Crawford Seeger's Worlds: Innovation and Tradition in 20th Century American Music. Eds. Ray Allen and Ellie Hisama. University of Rochester Press, 2007. Ruth Crawford Seeger's Worlds: Innovation and Tradition in 20th Century American Music. Eds. Ray Allen and Ellie Hisama. University of Rochester Press, 2007. "Staging the Folk: New York City's Friends of Old-Time Music." Institute for Studies in American Music Newsletter, Spring 2006. "Cultural Uplift and Double-Consciousness in African American Responses to Porgy and Bess." Co-authors Ray Allen and George Cunningham. The Musical Quarterly 88, Fall 2005. "An American Folk Opera? Triangulating Folkness, Blackness, and Americaness in Gershwin and Heyward's Porgy and Bess." Journal of American Folklore 117, Summer 2004. "Folk Music in the United States." Review article in The Encyclopedia of American Studies. Grolier Educational, 2001. Island Sounds in the Global City: Caribbean Popular Music and Identity in New York. Eds. Ray Allen and Lois Wilcken. University of Illinois Press, 1998. Singing in the Spirit: African-American Sacred Quartets in New York City. University of Pennsylvania Press, 1991. New York the Global City: Grassroots Music From Around the Boroughs. Double CD and booklet compiled and annotated for Smithsonian Folkways Records. 2001. New York Council for the Humanities grant to coordinate the conference New York City's Friends of Old-time Music. 2006. Wolfe Institute for the Humanities at Brooklyn College Fellowship to research and write a book-length work focusing on the urban folk music revival. 2006. New York Council for the Humanities grant to coordinate the conference Folk Music in the American Century: An Alan Lomax Tribute. 2003. PSC-CUNY research awards for the book project Porgy and Bess: An American Cultural Reader. 2003.